Last week, we looked at how understanding phonetic components can help us learn to read and write Chinese characters. That’s usually something learners pick up more or less automatically, provided that the phonetic component is also a common character in itself. It’s kind of hard not to notice that most characters containing 青 are pronounced qing, albeit with different tones. This week, we’re going to look at some less obvious applications of phonetic components and how they can help us solve a truly tricky problem. In the beginning, you can easily create mnemonics for each individual character and since you have so few visually similar characters, it’s not that hard to keep them separate. As the number of character increases, though, you will soon run into a very tricky problem: series of characters that look almost the same and only differs in one or two strokes. If you try to learn these simply by writing them a lot, you will probably fail, or at least waste a lot of time. Instead of doing that, there is a trick you can use to solve many of these problems. Often, the reason you keep confusing characters is because it’s hard to remember meaningless things (the absence of a dot, the addition of a stroke). It’s much easier to remember pronunciation and/or concrete objects. Naturally, not all confusing characters can be solved this way, but I’m going to show you some that are very easy to deal with so that you can keep your eyes peeled for these in the future. In short, the characters are really easy to confuse, but you can deduce which one is which based only on the phonetic component. This means that you can know if there should be a dot or not simply by knowing the pronunciation of the character! You never need to worry about remembering this, you just need to know the pronunciation of the phonetic components. Conversely, you can sometimes guess the pronunciation of a new character if you know the phonetic component. Any character containing 良 (liang) are likely to be pronounced either liang or niang, and characters with 艮 (gen) tend to be pronounced hen or gen.
To show you how powerful this is, here are a few more examples of characters that might be trolling you. Some of these are not relevant for simplified characters, but rather than caring too much about that, focus more on the principles. Even though simplified characters sometimes avoid the problem, more and trickier problems are created by merging character components. That’s beyond the scope of this article, though. I think this is enough to show you what I mean. If you have more examples of your own, please leave a comment! And if you want to check out more like this, I suggest you head over to the list of phonetic sets at HanziCraft. I also recommend using Zhongwen.com. Of course, not all sets are easy to confuse, but I hope that this article and the previous one will make you pay more attention to the phonetic components of Chinese characters. Good article, as always. I’ve bookmarked the HanziCraft page for when I have more characters to distinguish between. Just a random observation – recently, I watched a TV show in Cantonese, and I noticed that the pronuncition of 娘 sounded something like ‘leng’. 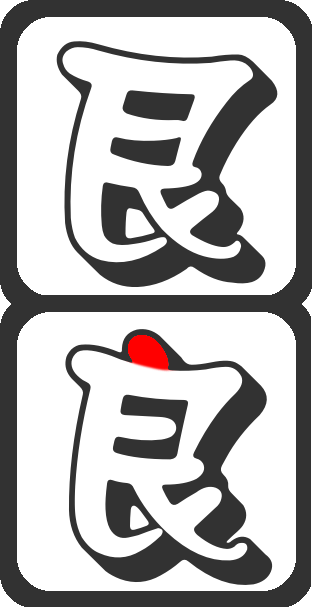 Perhaps in Cantonese all of the 良 characters still have the ‘l’ initial. I don’t now whether I should thank you or not. it is posts like these that makes me wonder if I am ever going to learn some kind of fluently chinese. But, I will hang in there! So, thanks you! Why is that? Shouldn’t this make it easier to learn Chinese rather than the other way around? Beginners feel discouraged by the quantity of Chinese characters mentioned here, because they cannot read most of them. If you switch to traditional characters like in 令 (ling) and 今 (jin) you should mention that, because most of the people start learning simplified characters and are confused. I think I feel the same as Emil. This post should definitely make it a lot easier to learn. (I wish my books had gone into the details of character structure, rather than learning chars by rote in an order similar to the frequency of use.) At same time, it is a little depressing to see that there are so many characters that differ by so little as a dot or stroke. I was hoping that most characters would differ more substantially. Learning a foreign language is like eating an elephant. You eat a little each day, eventually you’ve eaten the entire elephant. But Mandarin is more like eating a Brontosaurus. 🙂 If I want to feel depressed, I can look at advanced Chinese and see how far I have to go. If I want to feel encouraged, I can look at beginner Chinese and see how much I have learned. Articles like this help. Thanks for peeling off another layer of the Mandarin onion. I often feel I have bitten off more than I can chew but then I remind myself that I know more than I did last year. Just a question does the ratio of 80% also work for simplified characters? Since the characters tend to drop a lot of the meaning with having less or altered strokes. Therefore thinking that the system might not always work that well with the simplified versions. Of course we might be looking at this from a wrong angle. The percentage is somewhat arbitrary anyway since it depends on how you count the total number of characters and that it’s not always clear which characters are phonetic-semantic compounds. For practical purposes, “large majority of” should do, which is true for both simplified and traditional. Most simplified characters maintain the same structure and only simplify parts, so even if the numbers might be slightly different, this would only be interesting from an academic point of view. There are also some characters that have more transparent phonetic components in simplified, such as 達 vs. 达.
I love this website, keep up the good work. Note the two pronounciations of the original radical. Hope this helps someone, I still get my jiang’s wrong ordering food. I guess I drink jiang1 and eat jiang4 吧? Thank you so much for this article!!!! This has helped me so much with regards to learning characters and more! 1. I noticed that as well as not starting with “l-”, all compounds of 今 (jin) end with “-n”. 拎 is officially pronounced lin1; ling1 is the Taiwanese pronounciation. 1) Added this to the article. 2) Since I used traditional characters for that part of the article, I’ve given the standard Taiwan pronunciation (which is xi2 (or ti4, but that’s the same) and ling1 (as you mentioned)). This is not ideal, but on the other hand, this example is more relevant for traditional since the characters aren’t very similar in simplified, so I think I will keep it this way! Hey! Thank you for the interesting and useful article; however, I noticed one part that is slightly misleading. For the examples using the phonetic component 良 (liang) I would just like to note that along with the pronunciations ‘liang’ and ‘niang’, many of these characters also have the pronunciation of ‘lang’ (ex: 浪, 狼, 莨, 阆). I noticed in part 1 of this article you mentioned that as a phonetic component 良 can have the pronunciation of ‘liang’ and ‘lang’ to show how phonetic components can differ in final sound, so I know you are aware of this difference. I just thought it would be good for people to know that some of the examples you gave are read as ‘lang’ with varying tones. Yes, you’re absolutely right and I have updated the article accordingly. Thanks! Hacking the phonetic components in Chinese characters helps anyone to learner Mandarin or Cantonese or any Chinese dialect efficiently. For example, Chinese offspring around globe can communicate smoothly with each other in spite of different backgrounds in Chinese language either in simplified or traditional written style. Some fluent Chinese speakers cannot read written Chinese at all… I encourage foreigners to create their own “Chinese characters” based on their own culture, for example, Japanese Hanzi. Then future generations would have to hack the complicated Chinese characters! Do you have an app to make hackingchinese easily accessible for those who dont have PC. Hi! No, I don’t, but the website should work fairly well on mobile?